What a fun way to kick off the start of the school year! 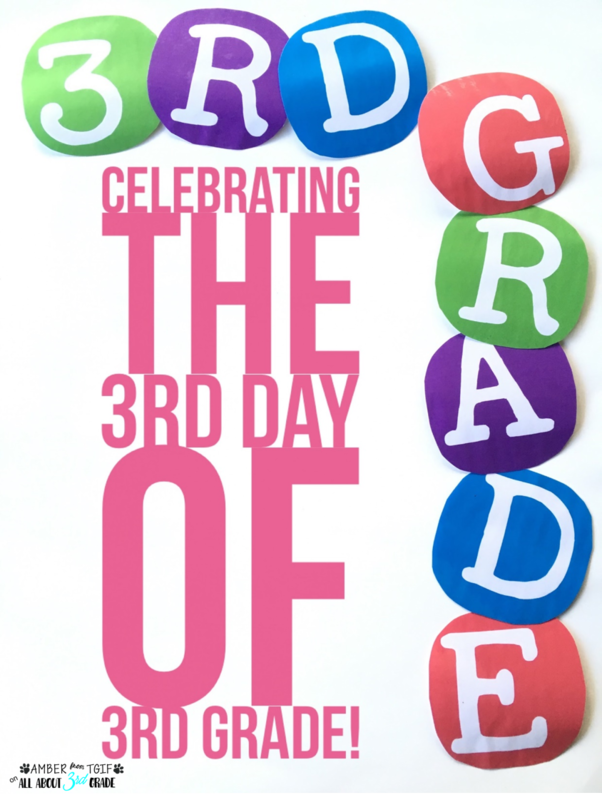 Celebrate the number 3 and everything that is fabulous about 3rd Grade. .....so you are thinking, "Great, now where do I start when I am so overwhelmed getting my classroom ready?!?!?!" I totally get it, because even after 15 years of teaching I still find that crunch time right before school starts, a bit hairy. Here's some magical tips to make it easy-peasy. But before all the activities, just start with a good ole' wiggle party with Kool and the Gang singing "Celebration". Do you give snacks? How about snacks centered around the number 3? 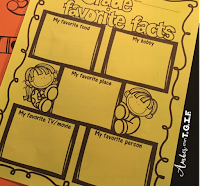 You can download these "Officially a 3rd Grader" Brag Tags for FREE! Use the number 3 in writing. If you would love to just print these activities out, visit here. This first tip checks off so many items on my to-do list. * Informally assess the students for writing abilities. * Put up a quick hallway or bulletin board display. * Set up procedures for my writing time. * 3 things I did this summer. * 3 things I want my teacher to know about me. * 3 of my favorite things. I love these short little writing assignments because it helps me get to know my students, their personalities and their abilities. Use the number 3 in math. I like to be floating around the room during this time to get an idea of who has good number sense and who needs some extra support. Read more about how to help students who are struggling with number sense >> here <<. Dice will come in handy for many 3rd Day of 3rd Grade activities. * Roll and Add 3 - Roll 3 dice and add them up. Now have a partner roll. Who had the largest number? Tally up points. * Use playing cards (or any number cards) for this idea. Player one draws a card and add it 3 times. 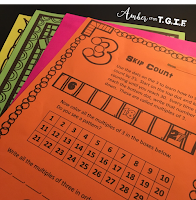 (4+4+4 This is sneaking in the skip counting pre-multiplication concepts.) Player two does the same. Whoever has the larger sum, gets to keep both cards. Continue playing until time or cards run out. Whoever has the most cards, wins! To all our 3rd Grade teacher friends out there! I have a freebie waiting for you! Woot woot! 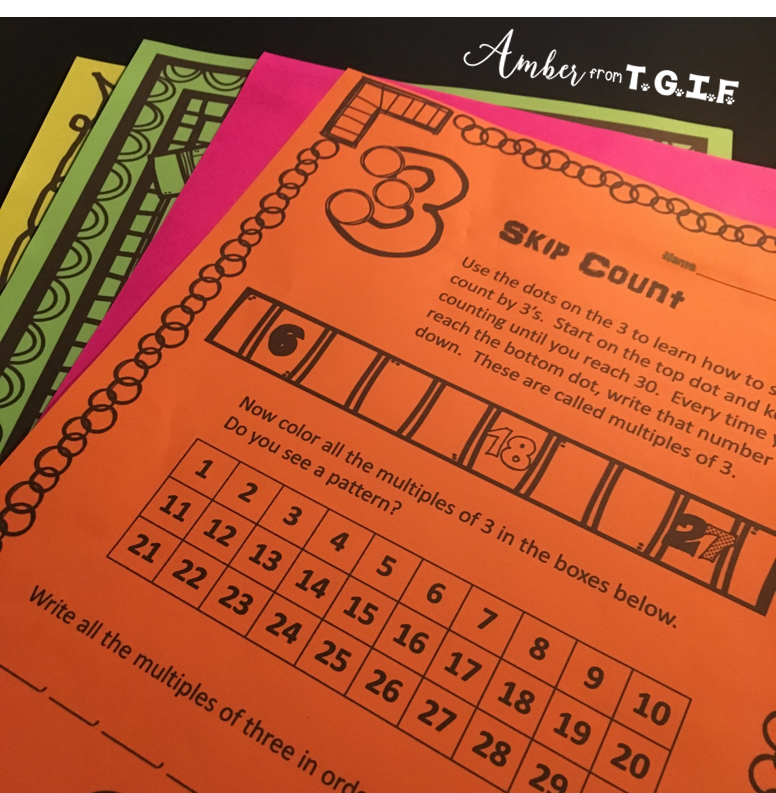 The Place Value Challenge including the printable dice are yours to use for your 3rd Day of 3rd Grade Freebie! Download it >>> here <<<. Use the number 3 to set goals. * Set class goals. Brainstorm ideas of 3 things the class wants to accomplish in 3rd Grade and narrow it down to 3 ideas. Make it into a poster and display it for the year as a reminder. End the day with this fun video of the Minions being their wonderful goofy selves with Pharrell Williams in the song, "Happy." What a fun way to end your 3rd day of 3rd Grade celebration! 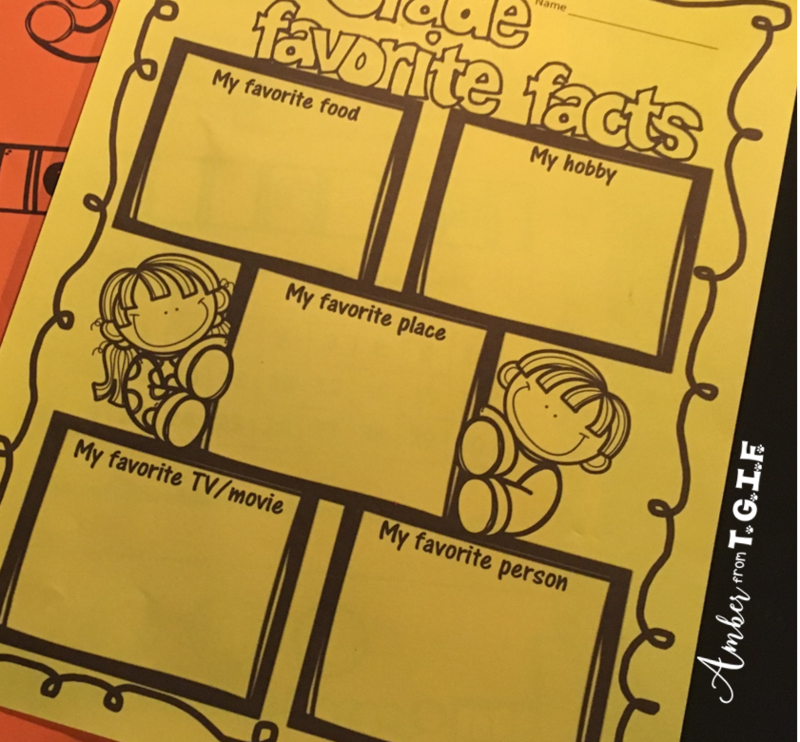 If you love these ideas, but just want to save time and get them printed out, this "Hooray for 3rd Grade" pack in available by clicking the link. Best wishes in your 3rd Grade classroom this year!